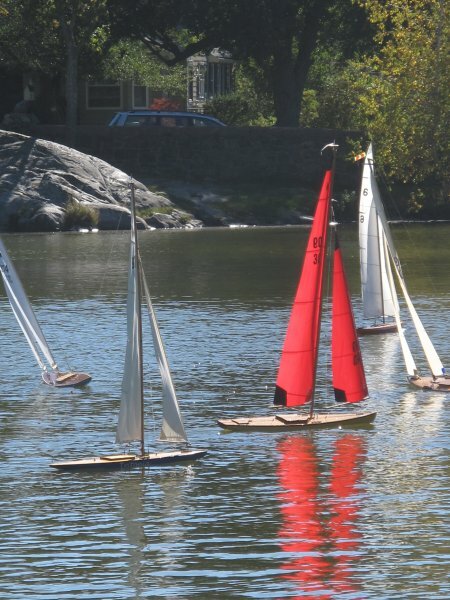 After taking Thom McLaughlin’s class on building pond yachts at the WoodenBoat School in 2009, John Stoudt spent the rest of that year into the early winter of 2010 working on this model. 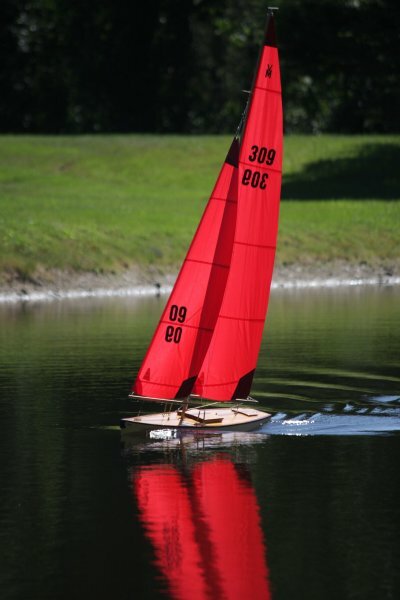 It is a 50/800 Marblehead Vintage class design that John built with very thin planks, tacked to wood frames. John also planked the deck. All of the fittings are solid brass.